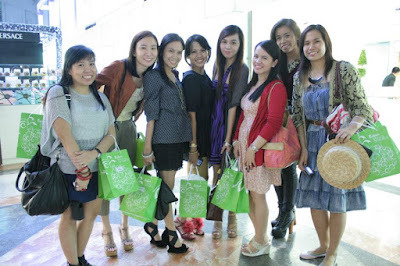 On the very first day I sprayed on my new Coach Poppy perfume (courtesy of Style Bible), I attended the Laura Mercier workshop that Sarah Tirona of Ms. Eggplant's Chronicles invited us to. I love them, though. The image of The Wizard of Oz poppy field always comes to mind when I think of poppies. 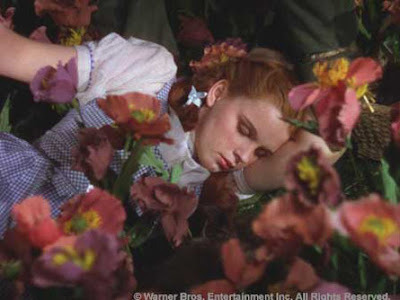 Granted, the poppy field in The Wizard of Oz was there to put them all to sleep for eternity, but it was still pretty. Nothing compared to sunflowers (my favorite flower EVER), of course, but still. I'm sorry I don't have more pictures/better pictures of my outfit that day. My camera ran out of battery early on during the event, so I had some of my blogger friends take my outfit photos instead and that one's my favorite one. To quote myself on my previous post on the Island Basics Pink Pomelo Body Butter, I'm a go-green / choose all-natural products kinda gal - especially when it comes to skin products. I mean, our body absorbs everything that we put on our skin, after all, so why slather it with chemicals that don't have any benefits in the long run, right? Well, I have good news for you: thanks to Gellie Abogado of So Gelleesh, I was able to collaborate with the non-profit organization KMBI and try out several Island Basics products in conjunction with them. Second up: the Island Basics Green Tea and Olive Body Scrub! I'm not much of a body scrub person, to be honest, but I know as much as anybody else that exfoliation is vital to keep our skin young and supple. 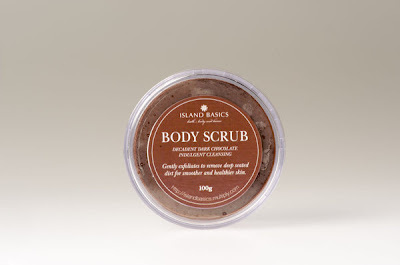 I have actually been using this Island Basics body scrub for about a month now and I can honestly say that my skin is softer since I started using it and it leaves me with a much cleaner feeling, too. Unlike other body scrubs that I've tried in the past, it doesn't feel too rough when I scrub it on, either. - It exfoliates the skin to remove deep-seated dirt. - It vows to make the skin healthier and smoother. - It has the goodness of vitamin E, VCO, Japanese green tea, olive oil, olive extracts, apricot seeds and foaming lotion in it. - It's a bit hard to scoop out the scrub from its container. Overall rating: 3.5 stars out of 5. Apparently, this scrub is perfect for revitalizing the skin and it has anti-aging properties, too. I personally can't wait to try out other Island Basic body scrubs, too - especially the decadent dark chocolate one. Even the name itself is already driving me crazy! All photos were taken from the Island Basics website. They also have this scrub available in Mango and Papaya, Seakelp, Wheatbran and Almond, Lavender and Tea Tree, and Strawberry and Licorice. And guess what? They only cost P150 each! 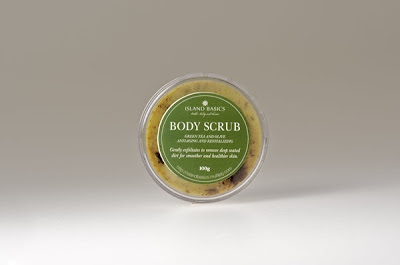 Do check out the Island Basics website to see their growing selection of all-natural bath, body and home care products. You are sure to find something that will fit your personal lifestyle and needs at very affordable prices. You know what else is great? Until January 2012, Island Basics will give one peso per item sold to the "Piso para sa KMBI" project, which will help KMBI fund various environmental initiatives. So far, KMBI has already undertaken river clean ups, recycling, urban gardening, clean up drives, tree and mangrove planting, and waterways de-clogging. To find out more about KMBI, visit their website here. I support them wholeheartedly. You should, too. 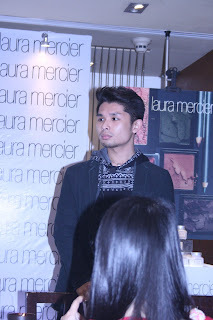 Sometime last month, Sarah Tirona of Ms. Eggplant's Chronicles invited me to another Laura Mercier workshop at SM Makati - this time at East Cafe. 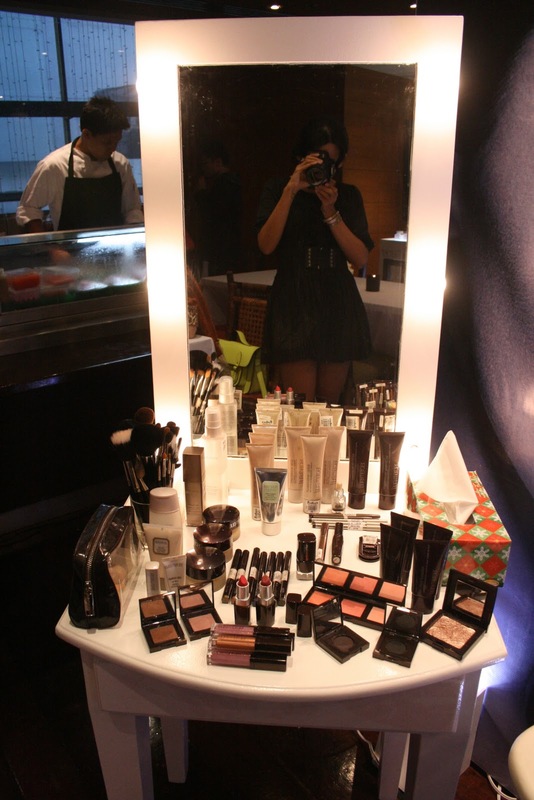 If you have been following my blog for a while, then you should know that I attended the Laura Mercier Flawless Face workshop led by Jeffrey Tasker in October, as well. Love at first sight smell! Will be writing a separate blog post on this. 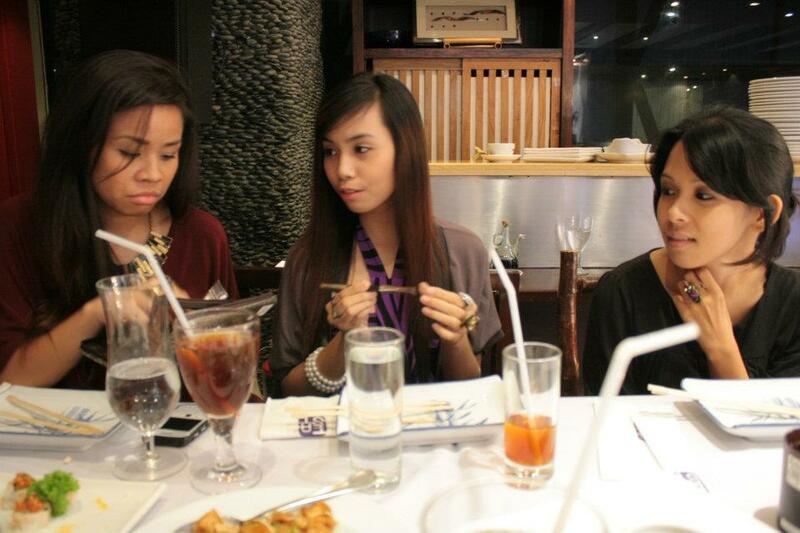 The pretty girls at my table. 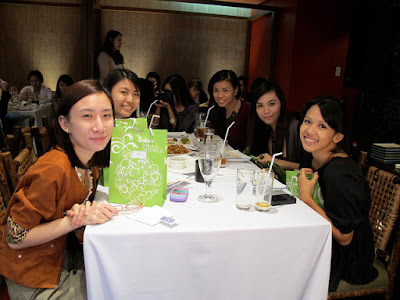 (clockwise from left) Ava Te of Artsy Fartsy Ava, Giezelle Uy of Third World Fashion, Belle Fenix of Bellavanite, Arnie Villanueva of Raid My Closet and me! (right) The amazing products of Laura Mercier. 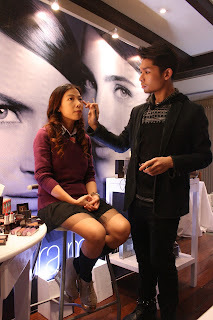 The model of the night was none other than the woman who invited us all to this great event, Sarah Tirona. And the makeup artist was the very cute Qua, whom "certain bloggers" couldn't get enough of. ;) Hehehe. Sayang talaga siya! Then came my favorite part: the food!!! 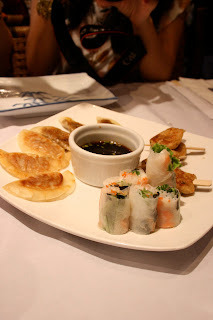 I love the food at East Cafe. 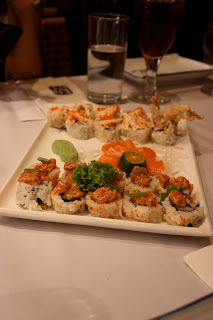 In my opinion, they have some of the best and most eclectic Asian cuisine in Manila (that I've tasted so far anyway). 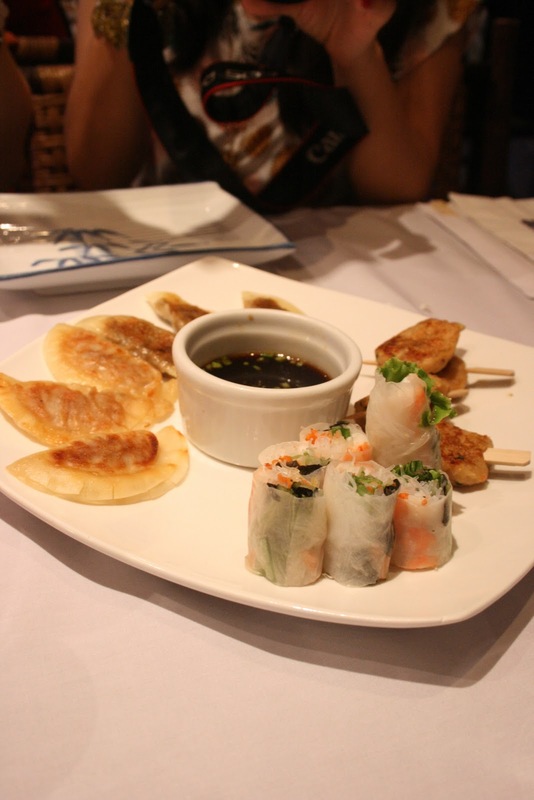 Gyoza, spring rolls, complicated noodles and sushi galore. I loved the spicy ones best, though. I spent my best years in Bangkok, after all. And speaking of Bangkok, phad thai! Oh yes! (left) My outfit of the day - outfit post another time! (right) With Jen Maslang of Shopgirl Jen and my candle! With the rest of the girls. 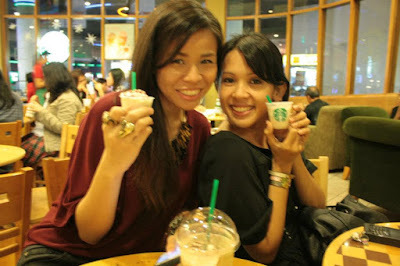 After that, I needed my caffeine fix, so some of us headed over to Starbucks. And look at the tiny taster cups! Aren't they awesome? I completely forgot to take one of those tiny cups home, though. :( I would've totally used them as shot glasses. Did you ever read my post about the best ice cream parlor on Earth aka Swensen's? Well, Swensen's has been in Manila - at the Mall of Asia, to be exact - since September now and I am happy to announce that they have agreed to sponsor a post-holiday treat for the Trio to share on the afternoon of the 7th of January. That means we'll get to bond and talk over ice cream and you'll get to meet Ava Jr. aka Athan and mini-Angel aka Syrena, too. Haha! 2. Leave your name and email address underneath this post and tell me why you want to try Swensen's ice cream with the Trio. Baz Luhrmann Does "The Great Gatsby"
I know my blog has been dead recently. I've been lazy and in 'holiday mode', but please bear with me. I will deal with those backlogs eventually - I promise. For now, though, let me just ask: who here doesn't love Baz Luhrmann? He had me at "Romeo and Juliet", but when "Moulin Rouge" came out? Oh. My. God. Words can't even describe how much I loved that movie. And now... Now he brings two of the best things in the world - that is, Leonardo DiCaprio and one of the most classic novels in the history of forced high school reading material - into one movie that is sure to make me wear a flapper dress, cut my hair into a bob and drink cocktails before watching: "The Great Gatsby". 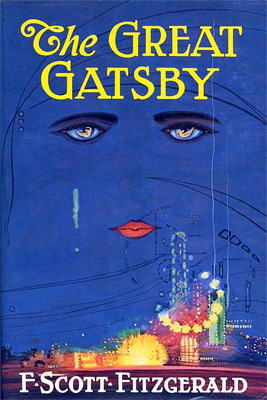 To say that the first two "The Great Gatsby" movies were epic fails is a complete understatement, so I can't wait to see what Baz has to offer in this department. 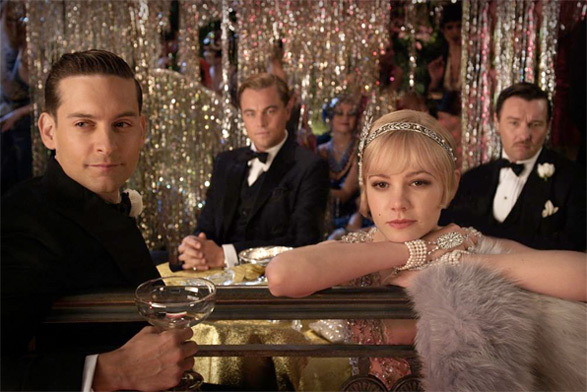 Aside from Leo as Jay Gatsby, the movie also stars Carey Mulligan as Daisy Buchanan and Tobey Maguire as Nick Carraway. I'm not a big fan of Tobey Maguire; but hey, if Baz says he fits the role, I believe he will fit the role. Who doesn't love Simone's Closet? Well, whether you are a loyal buyer of the store or are just hearing about it for the first time today, you are in for a treat because the holiday collection, whimsically called Kaleidoscope, is now up for grabs. I absolutely love the star print dress on the left and the Andy Warhol inspired shirt on the right, though - don't you??? They definitely steal the spotlight over the accessories for me in this picture. Gah. WANT. Remember: it's almost Christmas. 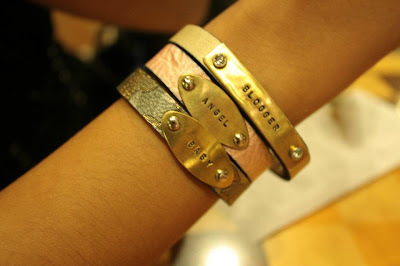 These bracelets would make great stocking stuffers or even friendship bracelets to ring in the New Year with. View all of the new accessories here. 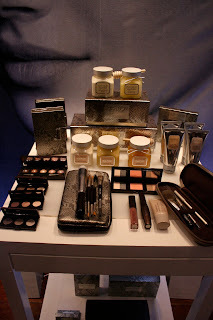 When Style Bible chose me to review the new Coach Poppy fragrance last month, I was ecstatic. At the time, I felt like I needed a new change in my life - even if it was just something as small and subtle as a change in perfume - but I didn't know Coach Poppy would change it this much. When I picked up the fragrance at the Summit office and saw the box, I knew I had found the perfect scent for me. After all, the graffiti writing and doodles on it reminded me so much of one of my favorite movies, "The Virgin Suicides". I couldn't wait to smell the scent. Speaking of boyfriends, the guy I was dating totally loved it. He kept mentioning how good I smelled and always leaned it for a whiff. Hee! :D Try it now! I don't know about you; but, whenever Christmas is near, I always feel this urge to check out beautiful clothes at online stores and one of my favorite online stores right now would be Unestablish. I'm ashamed to admit it, but I still don't have an LBD. I used to have a couple when I still weighed around 70kg (read about my weight loss success story here! ), but ever since I lost those 20 or so kilos, I still haven't owned one - mostly because I couldn't find one that really called out to me. All that changed when I saw this lulu dress, though. It's perfect. I want it so bad!!! Why do I like this item? First of all, who doesn't love leather? And, second of all, who doesn't love leather? Seriously. I need more leather in my life. That reason should be good enough. With the amazingly fawesome new Batman trailer finally out, I'm sure you all know why my blog is called Wonder Woman Rises by now. If you don't, well, it's because I love movies. Yes, before fashion and beauty and singers, movies were my first love. 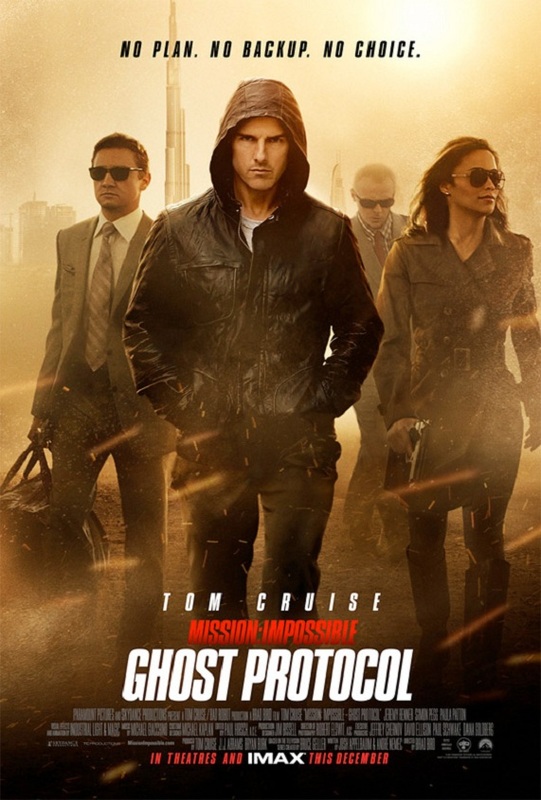 Movies, that is, and Tom Cruise. 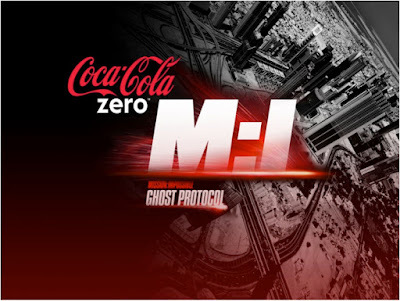 To be honest, I hadn't really enjoyed any of the M:I movies since the first one, so I wasn't expecting too much from this one, either. So, boy, was I surprised when I actually watched it and downright loved it. I was literally at the edge of my seat, covering my mouth and screaming during most of the scenes because they were completely action-packed and incredibly awesome! And the best part? 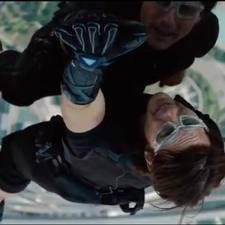 That is actually Tom Cruise doing all of the stunts himself - the jail fight scene in the beginning, the sand storm chase, the hospital escape, the final fight in the parking garage and yes, even the Burj Khalifa tower bit! It's a lil funny seeing the world's smallest man (Mario from the Mario Bros. not included) scale the tallest building in the world, but it was frickin' amazing, to say the least. However, I couldn't help but notice how, if Tom Cruise was just a teeny tiny bit taller, he wouldn't have as much trouble getting onto that train or grabbing that briefcase every time he tried to. It kind of made me want to feed him a red mushroom to help him out. On the flip side, though, I haven't wanted to jump Tom Cruise and make sweet love to him this badly since I saw him in "Tropic Thunder". Ha! Kidding. It was "Top Gun". Gah. I can't believe he's almost 50. What a yummy, yummy (though very short, short) man! As much as I would have loved to see Kevin Zegers, Chris Pine or Tom Hardy as Brandt (who were all also considered for the role), I am actually very happy that they cast Jeremy Renner. I had seen him in "The Town" before and thought he was brilliant and it was great to see him in a role like this. As other movie buffs should know, Brandt was created to eventually replace Ethan Hunt for when Tom Cruise decides to step down from the M:I franchise (though, the way Hollywood is going, he probably won't until he's over-60 :p). 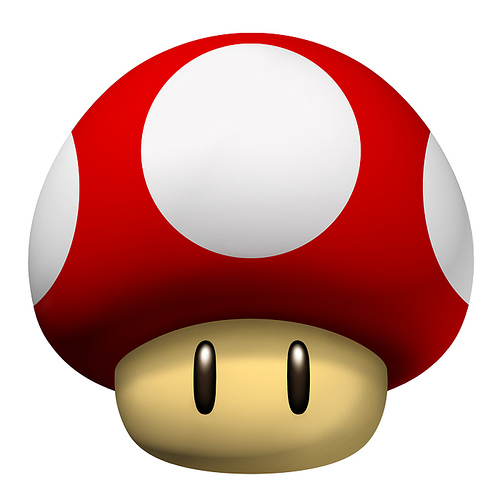 But I would be happy to have him take over the M:I franchise right now, truth be told. Overall rating: 4.5 stars out of 5. In a nutshell, M:I GP is an action-packed, incredibly entertaining movie that is sure to keep both M:I fans and non-fans alike very happy. And, well, if you don't like it, then entertaining you is a mission: impossible. Boom. This post, like all of the rest that are to follow, are already way overdue, so I apologize dearly to everybody involved. Anyway, about a month back, I was given the rare opportunity to try out various Nu Skin beauty products completely free of charge, thanks to Emzi Tinasas. And, well, who was I to pass up an opportunity like that? Nu Skin has been around longer than I have and its mission has always been to make people's lives better by providing top quality products and an enriching and uplifting culture. This product is pretty much self-explanatory. You use it on your face to clean it before using any other skin care products. Here we go: the miracle worker. The Galvanic Spa can actually be used on the hair and the body, as well, but we only used it on my face. And can I just say "WOW"? While other skin care products that I have tried usually take several days weeks months before I can see the difference, I saw the difference with the Galvanic Spa right away. I'm not kidding. We first used the pre-treatment gel on one side of my face for two minutes and then the treatment gel for three minutes on the same side of my face. We left the other side of my face untreated and after the entire Galvanic Spa experience... one side of my face was much more lifted and my eye bags were much lighter, as well. Instant botox? Haha. Aside from that, the Galvanic Spa also helps cleanse the skin, iron out wrinkles and fight the signs of aging. With continued use, it can even get rid of all aging sources and signs - believe it. The powder and activator are mixed together to create a mask, which is then applied onto the face with the accompanying brush. This lifts the face, as well, and can get rid of unwanted whiteheads and blackheads and tighten the pores and the face's complexion at the same time. And all you need other than the products is tissue. How awesome is that? The thing with this mask is that, as it gets harder, you can see all of the fine lines and wrinkles on your face. Kinda gross, but at least I got to see how old my skin really is and it opened my eyes to the fact that I need to do something about it. This is also self-explanatory. I'm sure everybody knows what toner is... but, if not: well, in a nutshell, it will close your pores after cleansing and stop more dirt from getting into them. This tinted moisturizer is also called the 4-in-1 tinted moisturizer because it also serves as a concealer, a foundation and has SPF. The best thing about this product? It adjusts to your skin color, so you can use it, no matter how fair or how dark your skin is. That means you no longer have to worry about getting the tint right. Woot! Thanks again, Emzi, for this one-of-a-kind demo. I never thought I'd see miracles happen in less than an hour. Nu Skin rocks! 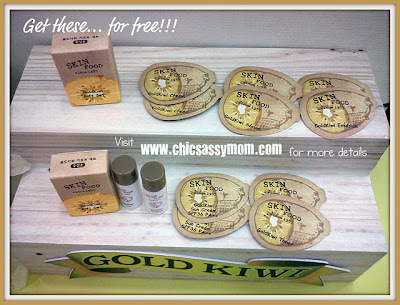 Join Chic and Sassy Homemaker's Skin Food Gold Giveaway! Yes, all of that can be yours. And the best part? Getting them is as easy as 1-2-3. All you have to do is fill up the form in this blog post and wait for Des's email. After that, you can claim your gift pack at the Skin Food branch of your choice. Yay! Shop at Tomato's Online Store Today! I am a huge fan of Tomato. Why? For one, their clothes and accessories are all very affordable. For two, their clothes fit my personality to a tee. And for three, they almost always have in-store sales. In fact, I don't think I've ever gone into a Tomato store without at least buying one item. Yup. I'm a Tomato addict. So, imagine my utter surprise and delight when I went to the Blogger's United 2 bazaar last weekend and found out that they now have ...wait for it... online shopping available!!! 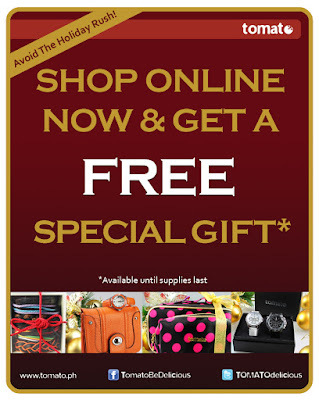 And you even get a free special gift if you shop online now! All photos taken from Tomato's Facebook page. Tomato's online store has a very attractive layout and is very easy to navigate with its basic side menus that you are sure to have no trouble finding what you need and working out how things work. And, oh, I also got their date book as a gift at BU2, so wait for my blog post on that! :) Thanks, Tomato! 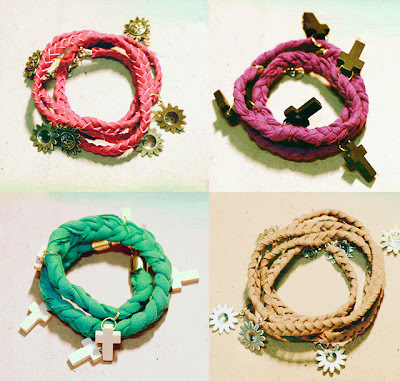 BRAND NEW ACCESSORIES FOR SALE!! !